Laserfiche Solution Contributed By: Lynda Malmberg, HR Manager, Steinhafels Inc.
Steinhafels Inc. is a furniture store chain operating in the Midwest with 700 employees spread out across multiple locations. The company’s rapid growth resulted in hundreds of non-standardized forms, an ad hoc approach to collecting information and the lack of a standard method for onboarding employees. Here is how Steinhafels used Laserfiche Forms and Laserfiche Workflow to standardize and fully automate the HR onboarding process. Steinhafels has as many as 60 different job openings at a time. 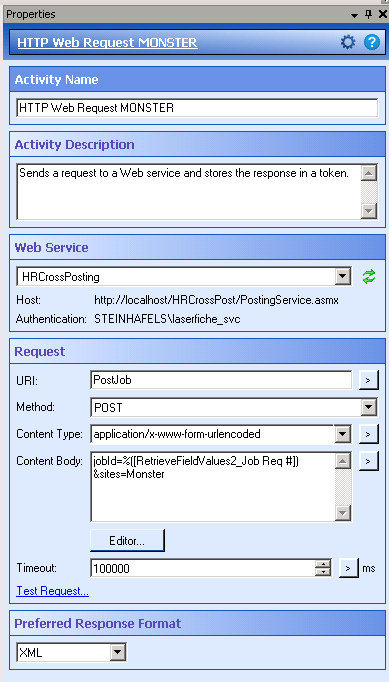 Manually posting jobs to third-party career websites such as Monster.com is time consuming. Laserfiche has completely automated this process. 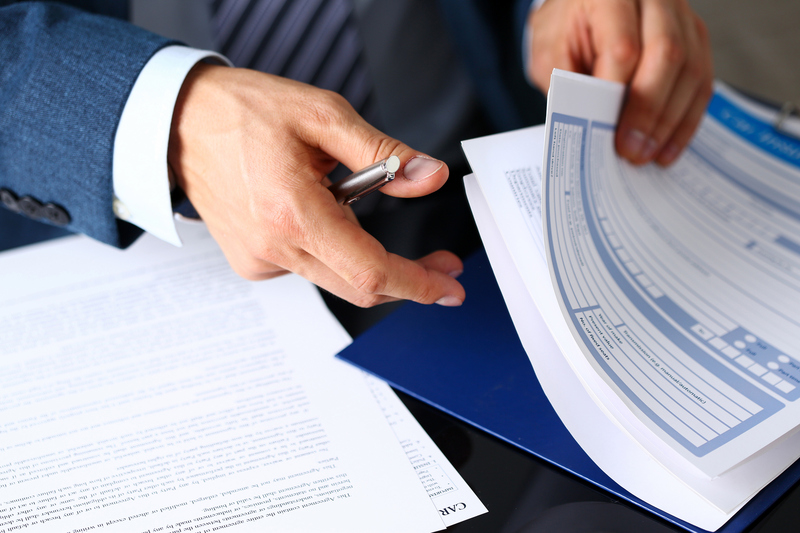 Now, a hiring manager can submit new job requisitions through Laserfiche Forms. Once submitted, the requisition is automatically routed to HR for approval. 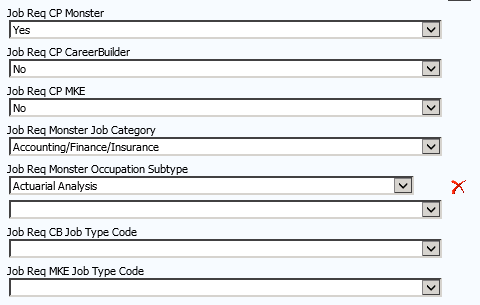 As part of the approval process, HR selects the job sites to which the job requisition will be posted (Monster, Career Builder or Milwaukee Jobs), the job categories and job types. 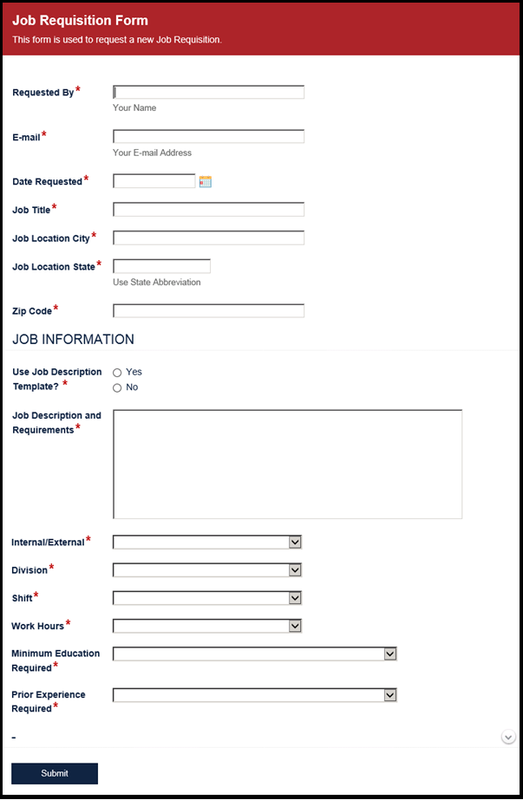 An embedded link in the third-party career site’s job listing takes the applicant to Steinhafels’ website to fill out a job application in Laserfiche Forms. 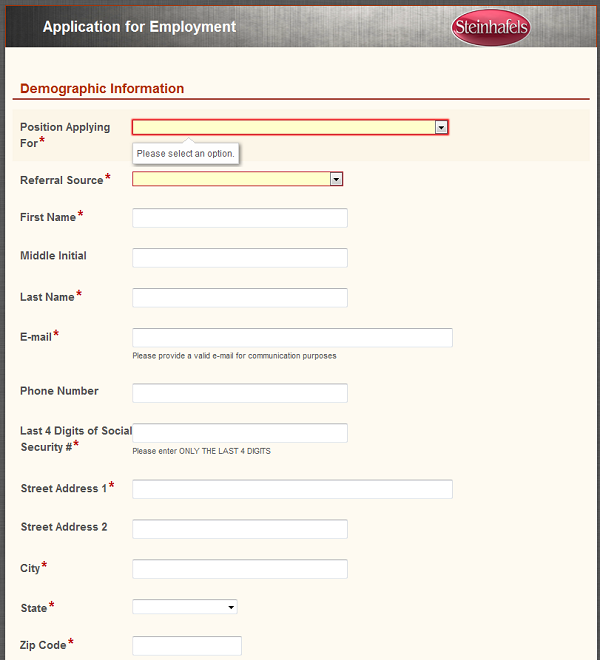 Once the applicant submits the job application, it is routed to the appropriate hiring manager. The hiring manager can either qualify the applicant as a prospect or reject him. If a candidate is rejected, he is notified by email. 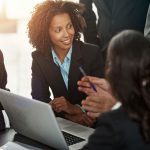 If a candidate is qualified as a prospect, a new field called HR New Prospect Status is added to the template with the initial value set as “Prospect.” Every time the hiring manager changes the value of that field, the applicant moves to the corresponding stage in the HR Hiring Process workflow. To help HR and the hiring manager see the status of the applicant at a glance, the entry is renamed based on the corresponding status update. Certain stages of the hiring process involve other steps to be performed. For example, when the status of “Request Background Check” is selected, an automatic request is sent to HR who contacts an external company to initiate a background check. This company sends an email to the candidate letting him know that a background check has been requested. When the check is completed, HR is notified by email to review the results on the background check company’s website. If the results are favorable, the candidate’s status is changed to “Background Check Cleared” and the candidate advances to the pre-employment drug screen phase. 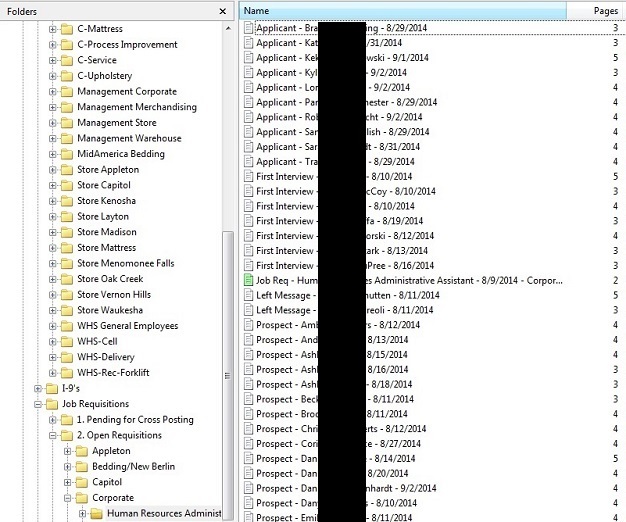 Renames the application to indicate that the employee has been hired. Inserts relevant new employee data, such as name and address, into the “HR Employee Number Tracking” database. Gets the generated employee number from the database and assigns it to the application. One email asking HR if there are any additional hires required for the position. Another email providing the hiring manager with a link to the New Hire Form and the employee number. Creates a new employee folder and the necessary subfolders. Assigns the “HR Employee Folder” template to the employee folder. Moves the original employment application and any documents that the new hire submitted when applying into the newly created employee folder. In the meantime, the hiring manager fills out the New Hire Form in Laserfiche Forms. Once the employee number is entered, most of the data is populated based on the information in the “HR Employee Number Tracking” database. If the job posting can be closed and the existing applicants or candidates for that position will no longer be moving forward in the hiring process, HR can change the HR New Prospect Status field to Rejected. Laserfiche Workflow sends an email to the applicants and moves the rejected files to a rejected applications folder. HR then initiates the “Close Job Posting” Laserfiche Workflow business process on the original job requisition document. This Laserfiche Workflow business process moves the job requisition to a separate folder and removes the job listing from third-party career websites. 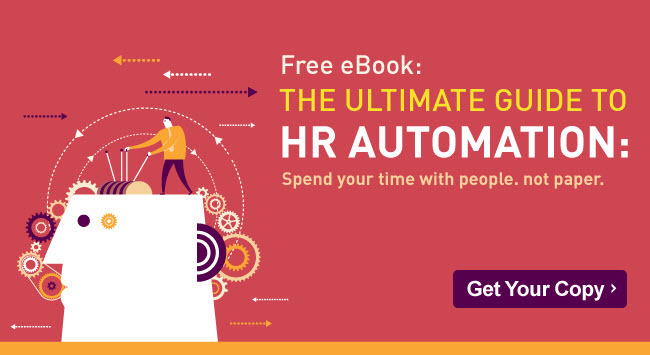 The HR and accounts payable implementations alone have resulted in savings of $78,369.20 per year. Laserfiche paid for itself in direct money and time savings within the first two years of the implementation. All employee files are immediately available and detailed security settings allow Steinhafels to control who has access. The hundreds of disparate hiring and application forms across the organization have been consolidated into 59 structured and consistent forms.